Compact discs (CDs) and Digital video discs (DVDs) are the biggest mediums for data transfer. These discs are remarkably durable, but it is nevertheless impossible to avoid scratches that occur due to frequent use. The reading lense inside the CD or DVD-Rom naturally leave a few scratches on the discs. 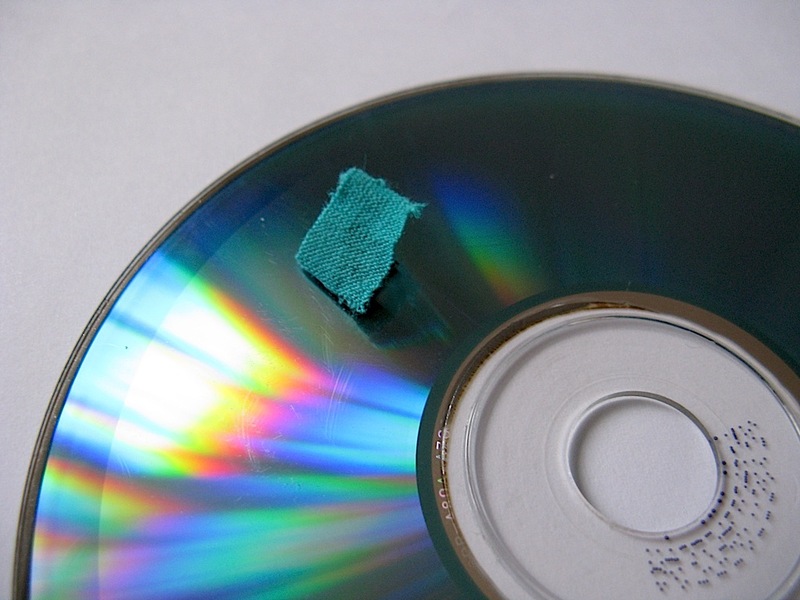 These scuffs eventually affect the working of the discs. There are dozens of disc repair kits and refinishing machines available in the market these days. But there is no need to spend a lot of money just to clean a scratched CD or DVD, as you can easily fix the problem by using a few simple products that you already have. Even if the scratches are not visible, you should clean your discs in order to avoid any serious problem. The dust, oil and other surface contaminants massively affect the disc’s quality as well as prevent it from playing properly. First of all, remove all the dust present on the face of the disc. You can use warm water for this. Run the water over the damaged disc or clean its face with a piece of soft cloth dampened with warm water. If there are any stubborn dust patches, gently rub the area with your finger. You may even use any gentle detergent or rubbing alcohol to get rid of the stubborn dust. In case you are using rubbing alcohol, use a small cotton swab. Let the disc get dry itself. There is no need to use any towel, cloth or sun-dry. Just shaking the water off the disc is enough. It is the time to play the disc. If the disc still refuses to play properly, use another player. Sometimes, a device does not play one specific disc properly, as it fails to handle the scratches. If the CD or DVD works on a different player, burn a new disc. The disc burner usually does not face any difficulty in creating a new copy. However, this should be used as last resort. If you are dealing with serious scratches, first of all identify the area that is most damaged. You may need to use a scratch remover to handle these serious scuffs. Once the scratches are completely gone, polish your disc by using baking soda toothpaste or Brasso. A fine-grit polishing compounds is also useful in this regard.